Are you thinking about launching your business blog? You’re not alone. A recent study by GuideWireGroup revealed that approximately 89 percent of businesses polled use blogs as a way to communicate with their customers. In another survey, Burson-Marsteller found that 15% of Fortune 500 companies have blogs. A successful business blog can generate tens of thousands of dollars in revenue each year, with figures for large corporations typically much higher. So, business blogging is becoming a mainstream marketing tool. That does not mean, however, that blogging comes easily or naturally for many companies, their owners and employees. Blogging, like any form of content, is a commitment of time and resources – namely, you have to know how to write (or have access to good writers) and you have to maintain your blogs with fresh, original and insightful new material on a regular basis. If you haven’t already done this, register accounts with Facebook, Twitter, LinkedIn and YouTube. Start with these and expand later. This is important because you need places to post links to each new blog, so that your groups, fans, and followers can read them. Posting on social media also encourages people to subscribe to your RSS feed, another great way to promote your blog. Lay the groundwork for later blog promotion by establishing relationships with your target markets. One of the best ways to do this is through social media. Now that you have accounts started, you can go in and join forums, listen to conversations and hear what people are saying about your industry. Add thoughtful and insightful comments whenever possible. Hire employees to do this if you don’t have time, but try to contribute every once in a while if you can. You can either put your blog on a page within your website or give it its own domain. Your choice depends largely on your goals. Do you want the blog to be part of your site, and linked to it directly? Or do you have plans to use your blog for other purposes, such as to earn revenue through ads or creating a secondary business from it? A blog can help your website to rank higher, and it can also rank highly on its own. So, think about your long-term objectives when deciding where to place it. 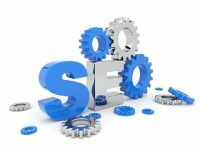 If you’re placing your business blog on a page within your site, most likely you’ll be using the same keywords for your blog that you are using for your site. If you’ve done good keyword research, then these are the keywords that reflect your business and are the search terms that people are using to find you. If your blog is separate, consider if any keyword changes need to be made. You may want to take your blog site in a different direction from your site. Again, this depends on your goals for your blog. Think about the direction you want your blog posts to go in. A good way to stay on track is to start with one main topic and draft a few blogs in advance. Post them on a regular schedule and you’ll have a supply of targeted blogs that add fresh content to your site and point back to your company each week. Coming up with topics can be a challenge, but there are a lot of helpful resources on the Web if you get stuck. Once you’ve got your blog started, it’s a good idea to look around at other bloggers in your industry. See what they’re doing, what they have to say, and leave insightful comments on their blogs.This kind of web networking will help you establish relationships with these people, which in turn will prompt them to help spread the word about your blog and your company. This kind of free advertising is invaluable. It connects you to credible and respected individuals within the blogosphere and markets your business for you. As mentioned earlier, offering a blog subscription through an RSS feed is an effective way to promote your blog. There are other ways to get the word out, as well. Write an optimized press release, submít articles to directories that link to your blog page, submit your blogs to social bookmarking sites such as StumbleUpon and Digg (or set up an account with Ping.fm and have it done automatically). 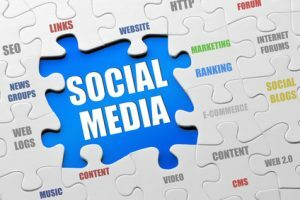 Make sure that you link to your blogs in your social media posts. Social sharing plugins can also help you to increase your reach on these social bookmarking sites. Launching your business blog is, like any project, all about preparation. If you do your homework and lay a solid foundation, your blog will produce results. Keep in mind that blogging is a form of content marketing and, as such, is primarily about building relationships with customers. So, be patient, follow these tips, and watch your business grow!